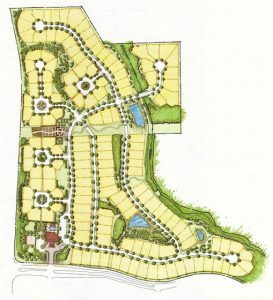 The Legacy at Cary Creek has been planned with the active resident in mind and to complement their unique lifestyle. Each house has been designed to cater to the owner’s needs, with main level living floor plans, open, accessible layouts, and stairless entry into each home. Each square foot of this private residential, age restricted (55+) community — the gated entry, the literary influence of the street names and parks, the classic landscaping — are extensions of your home. The Clubhouse will be a place for friends to gather around the dinner table, or pool, or outdoor fireplace. The Legacy Community Calendar of social events will bring neighbors together for everything from ballroom dancing, to “Tiger” tailgating, to crowning the Legacy “Pickleball Champion.” Coordinating all of this will be a professional property manager, providing on-site managing the property, organization of activities, as well as overseeing maintenance and upkeep of the neighborhood. Concierge-style living will be a hallmark of The Legacy. 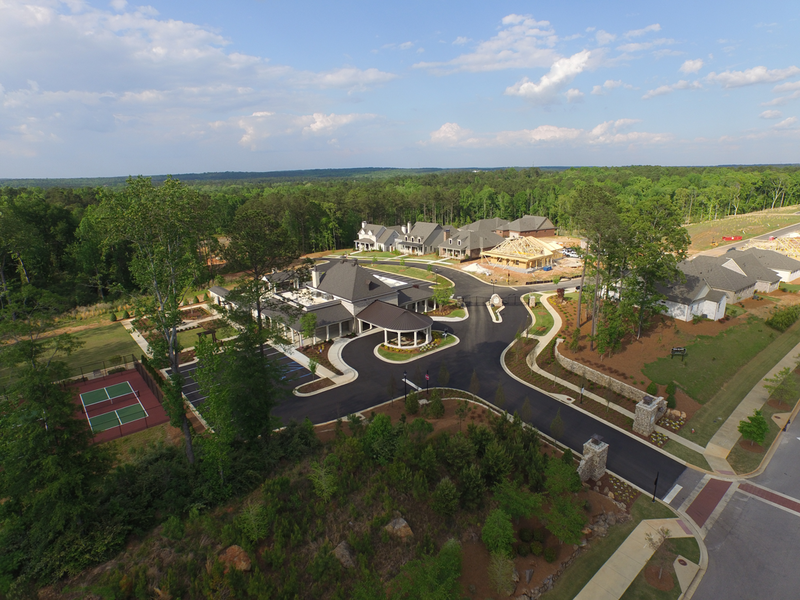 57 acres of rolling topography, magnificent century-old trees, three ponds, and a stream that flows into the creek that gives “Cary Creek” its name. 143 homes, each situated to take advantage of natural features that surround them. 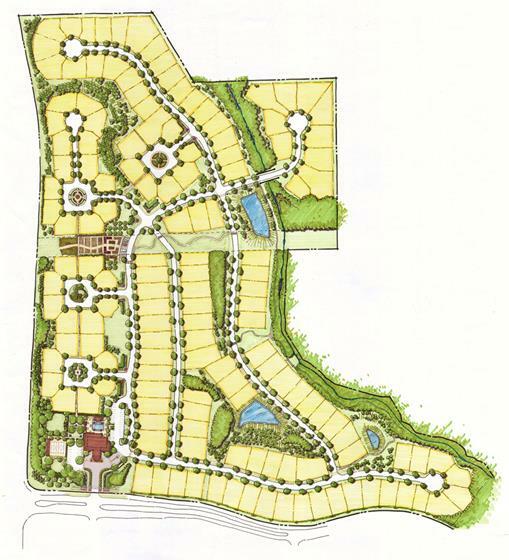 Phase One will include 48 home sites, the clubhouse, and all of the amenities shown on the Master Plan that will make this active adult community so appealing. A 3,500 square foot clubhouse with gourmet demonstration kitchen and large dining area, a fitness center, spacious great room for gatherings, and a sitting porch that wraps around the building, complete with outdoor living nook. All the amenities you need for over-55 living! Other amenities include the swimming pool and outdoor kitchen, multiple gardens located around the 57 acres with a walking trail that connects them, a community vegetable garden, pickle ball courts, and an open green for bocce ball and croquet. It’s active adult living at its best! Walking and golf-cart friendly neighborhood with wide sidewalks and trails. Take your road-ready golf cart to the neighbors, clubhouse, or the Publix next door. Exclusive partnership with AT&T, bringing the first fiber to the home AT&T U-verse community to East Alabama. Each Legacy home will have a direct fiber-optic connection, to take advantage of all of today’s technology and what’s coming in the future. More about AT&T U-Verse.